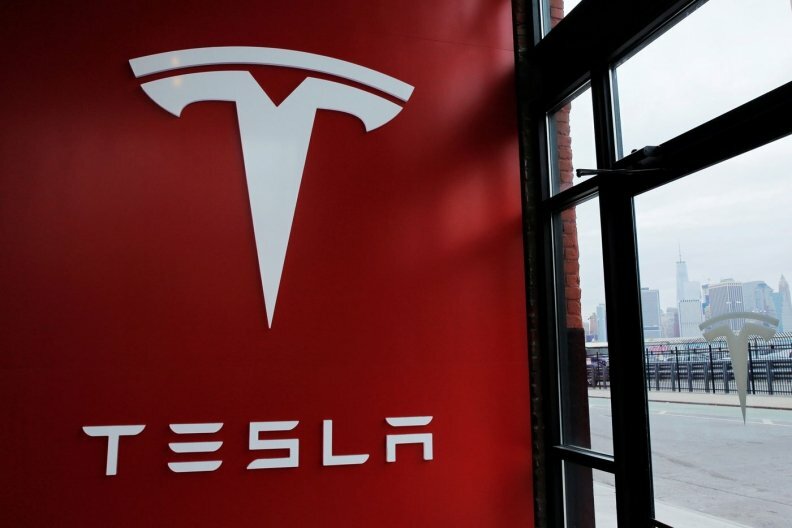 SAN FRANCISCO -- Tesla posted a $671 million loss for the third quarter -- its largest ever quarterly deficit -- dropping from a $22 million net profit recorded for the same period last year. The electric-vehicle company attributed the loss to ramping up Model 3, pushing back its timeline of producing 5,000 Model 3 vehicles a week from the fourth quarter of this year to the first quarter of 2018. The company cited the battery assembly line at its Nevada Gigafactory as the primary constraint in Model 3 production, adding that it will reduce Model S and Model X production by 10 percent in the fourth quarter to move inventory and dedicate more manpower to Model 3 production. “There are thousands of processes to build the Model 3,” said Tesla CEO Elon Musk, who spoke during an earnings conference call from the Gigafactory. “We can only move as fast as the least competent elements of that mixture." Automotive revenue during the quarter grew 10 percent to $2.36 billion, the company said after stock markets closed. Shares in Tesla fell 5.0 percent in after-hours trading to $304.90. The company burned through $1.4 billion in cash during the quarter as it continued to invest heavily in its plants. That's compared with a cash burn of $1.16 billion during the second quarter. “A continued delay in Model 3 production and bigger losses were not the news hoped for with Tesla’s earnings report,” wrote Michelle Krebs, a senior analyst at Autotrader, in an emailed statement. Tesla is under pressure from investors and customers to hit deadlines before the end of the year. After launching the mass-market Model 3 sedan, Musk at the time said the automaker would manufacture 20,000 of those vehicles by December, but had only produced 260 as of Oct. 2. On the call with analysts, Musk said Tesla would be producing “well into the thousands” of Model 3 sedans by the end of the year, hitting 5,000 per week by March 2018. He did not say how many units the automaker built in October. Reports suggest Tesla has struggled to get its assembly line up and running. Musk told analysts a subcontractor for the Gigafactory “really dropped the ball,” forcing engineers to rewrite software in four weeks. He added that welding for the mostly steel Model 3 body has proven to be a complex task, requiring a high concentration of manufacturing robots. An increased reliance on automation has also made it more difficult to use human labor to fill in for faulty machines. Tesla has also grappled with its labor force. The company fired 700 workers in October after performance reviews. In response, the UAW filed unfair labor practice charges against the automaker, claiming the firings were to discourage employees unionize. Musk responded to the reports, saying Tesla only fired 2 percent of its workforce during a routine performance review process that any automaker would use. “Despite Tesla having extremely high standards, that are far higher than other car companies, which we need to have, in order to survive … only 2 percent of people didn’t make the grade,” he said. After releasing third-quarter earnings in 2016, Musk told investors that Tesla would not need to raise more capital to launch the Model 3; however, the company received $1.2 billion from a share and convertible debt offering in March, and raised another $1.8 billion in a bond sale in August for Model 3 production. Tesla said it currently has $3.5 billion in cash on hand. Musk also said in 2016 that a Tesla would be able to complete a cross-country trip without a driver touching the wheel by the end of 2017, and Tesla customers who paid up to $8,000 for autonomous capabilities would receive gradual updates throughout the year to vastly improve semiautonomous driving capabilities. However, according to a class-action lawsuit, those features have yet to arrive, and Tesla's breakup with computer vision and camera sensor supplier Mobileye may have set back the automaker's progress. The company did not give an update on when the cross-country drive would occur or when updated self-driving features would be available, but reiterated that all Tesla vehicles are capable of full autonomy with the current hardware suite. The Wall Street Journal reported on Oct. 22 that Tesla had reached a deal with Chinese officials to open a factory in a free-trade zone in Shanghai. Tesla would not need a local joint-venture partner requiring it to split profits, but would be subject to a 25 percent import tariff. Tesla told Reuters it is still in talks for a factory in China. A manufacturing presence in the country could boost its revenue in the world's largest electric vehicle market. Currently, Tesla vehicles cost about 50 percent more in China than in the U.S. because of production costs. Tesla's third-quarter report did not include details on the China factory. Musk said Tesla would not spend significant capital in the region until 2019, and won’t produce cars in China for another three years. In February, Tesla said it would finalize locations for its next three Gigafactories by the end of the year and was exploring production capabilities in Europe and Asia, adding to the Gigafactory in Nevada and solar panel facility in New York.